See also: the Coalition member groups. Affirm: The Network of Baptists affirming Lesbian & Gay Christians seeks to engage with Baptist churches and members to achieve greater understanding and acceptance of LGBT people. Affirm has works with the Baptist Union of Great Britain to give pastoral support to LGBT people within the Baptist family. gay. 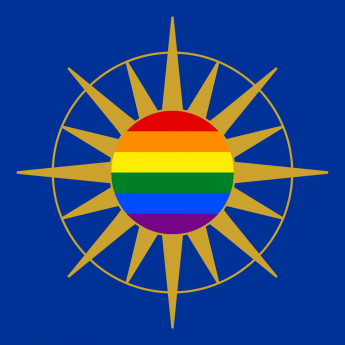 It is run by a group of gay Christians, who have accumulated experience as Anglicans, Catholics, Christadelphians, Methodists, Non-Subscribing Presbyterians, and Presbyterians. Diverse Church is a supportive community of 80 young LGBT+ Christians in UK evangelical churches. A community that is welcoming and open to all Catholics, with an active fellowship of many lesbian, gay, bisexual, and transgendered Catholics, as well as their parents, families and friends. The Metropolitan Community Church has three Churches in the London area. They provide an opportunity for inclusive Christian worship in a variety of styles. The denomination was founded within and for the LGBT community and a warm welcome awaits you. Quest is a nationwide pastoral support group for LGBT Catholics. We organise social and spiritual events such as Masses, retreats and an annual weekend conference. The LGBT Group at St James Piccadilly has members across the LGBT spectrum. It meets for a shared lunch 1pm 2nd Sunday of each month. We are a network of Christians, connected by LGBT (Lesbian, gay,bisexual and transgender) issues, who have discovered that God loves us just as we are. Our vision is to create a space where absolutely everyone is welcome, whoever you are and wherever you’re at in terms of church or issues of sexuality and sexual identity. Many of us are from evangelical backgrounds, but we now represent a broad church and aim to make all feel welcome. We meet up four times a year to worship together in central London. YLGC seeks to support Christians aged 16–30 who identify as Lesbian, Gay, Bi and Trans and those who are questioning their sexual, gender or Christian identity. We exist both in the real world and online with quarterly meetings and regular web chats on our forum. GIRES was established in 1997 to inform a wide public of the issues surrounding gender identity and transsexualism. Its aim is to improve the circumstances in which transgender people live by informing and educating all those who can support them, including family members, politicians, policy makers, commissioners and providers of healthcare, the police and other agencies within the criminal justice system, teachers, employers, and representatives of the media. The charity’s education programmes and its contributions to policy development are soundly based on research. It makes an annual award to the authors of the best published research. Campaigns for equality and respect for people who are transsexual, transvestite or transgenderist. Provides advice and advocacy and a range of information, training and publications to educate the public and help people attain/maintain their civil rights. Providing support for female-to-male transgender and transsexual people. Helpline and other services for people who are transsexual, gender dysphoric or transgenderist. Volunteer run information line. Befriending, with a confidential contact system for members. Self-help through a membership society. Information on specialist help, including counselling, psychotherapy, psychiatrists. Newsletter and publications. Support group for children and young people who have gender identity problems, their parents, carers and professionals. Offers information, support and befriending. Some meetings held in London and provides local contacts elsewhere in the UK. There are now some meetings in the North of England. Meetings are for members only. In contact with an NHS clinic for children with gender identity problems. National self-help organisation for transvestites, transsexuals, their partners and families. Advice and information on the subject of cross-dressing and gender dysphoria. Helpline. Runs social functions. Produces a magazine for members. Provides guest speakers to other organisations. Linked to the Beaumont Trust. Telephone helpline for transsexuals, transvestites and their partners. Referrals to specialist agencies, counsellors and self-help groups. Promotes research into social/psychological aspects of transvestism and transsexualism. See also Beaumont Society (self help), and Women of the Beaumont Society. Telephone advice, support, information and befriending for wives, partners, family and friends of transgendered people. Networks with lesbian, gay, bisexual and relationship counselling organisations. Information, criteria and forms to apply for a Gender Recognition Certificate. Sparkle – the national transgender celebration is the worlds largest transgender event. For the last 10 years we’ve been celebrating with the trans community in July in Manchester, UK. Over the Sparkle Weekend we celebrate with music and events, and have talks and workshops that are all FREE to attend. Pastoral and other documents relevant to the transgender community.